There’s nothing worse than your favorite sweater being shrunk to baby doll size. The comfy fabric, the perfect slouchy fit — everything ruined by one fatal wash. Winter fabrics like cashmere and wool can be tricky and the labels are often trickier. Do you really need to dry clean everything? Should you hand wash or cold water wash? Hang dry or machine dry? Here’s a quick go-to guide of how to care for your favorite winter sweaters, scarves, and more. 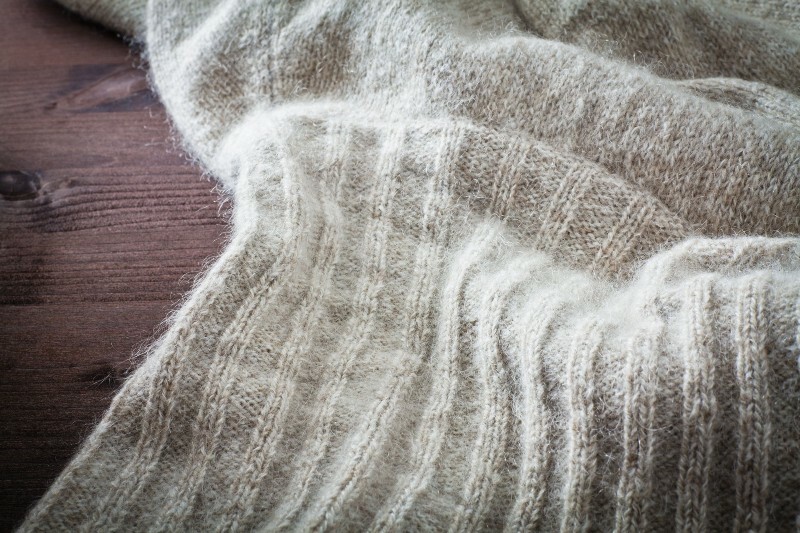 In addition to being super comfy, wool is a long-lasting, high quality material and will generally last much longer than clothing made of synthetic products or cotton. The key is to care for the garment correctly. It’s important not to overwash wool products; they do not need to be washed after every single use. In between launderings, spot clean with cold water. Keep them fresh by steaming them with a hand-held steamer or on a low tumble dry in the drying machine. When you do wash wool products, you can hand wash in cold water. However, to ensure the garment’s original shape and size are preserved, it’s best to dry clean. Choose a dry cleaner with experience and special care policies for winter items. 2ULaundry’s personalized subscriptions allows you to customize each step of the dry cleaning process; we understand clothing is personal and we handle each item with the utmost care. Ooh la la! Cashmere feels like luxury. It’s velvety soft feel makes it perfect for light sweaters, turtlenecks, and cardigans. Because it is a delicate fabric, it requires a light touch to keep it clean and in perfect condition. The best way to clean cashmere is to lightly hand wash in cold water with a specially made detergent; we recommend this one from the Laundress. Never use hot water on cashmere — it will ruin the garment. Also, never put cashmere in the dryer. Even though it can take a while to air dry, better to wait than have your luxurious cashmere sweater shrink by up to 50%! If you’re trying to remove a stain from a cashmere garment, hand washing won’t do the trick. That’s when you need a professional dry cleaner — they will be able to remove the marks without damaging the garment. Leather — whether authentic or vegan — should never be machine washed. You can spot clean with a damp cloth or use a specialized cleaning product. However, be cautious. A lot of cleaning products, even those labeled safe for leather, can harbour dangerous chemicals that may ruin the clothing item. That’s why in addition to laundry and dry cleaning services, 2ULaundry offers specialty cleaning and care services for shoes, jackets, and more. We provide shoe shines, alterations, garment cleaning with next day turnaround and eco-friendly products. Whether your love to wear your furry friends or are a faux fur fanatic, these items are some of the most difficult to keep fresh and clean. Fur easily becomes matted and dirty; washing fur jackets in a traditional washer and dryer will immediately ruin them. For everyday care, be sure to hang the jacket on a sturdy wooden hanger and in breathable garment bags. At least once a year, take your coat to a professional cleaners — not only will they be able to examine the garment for rips and tears, they will properly clean it and keep it free of dust, oils, and odors. With winter on the way, it’s time to fluff out those winter sweaters, scarves, blankets, and coats. Rather than slaving the day away and hand washing each item, sign up for a free trial of 2ULaundry today and let us take care of your winter items for you!